Onsite Photoshop Introduction training is delivered across Shropshire including Shrewsbury, Bridgenorth, Telford and all surrounding areas. Run at introduction level this Photoshop training is perfect for company groups or private individuals and is ideal for those new to the software of anyone looking for refresher training. It will show you how to create, edit and retouch images for a range of different purposes including digital media, print and the web. Regardless of whether you’re approaching this as a photographer or a designer this Photoshop CC Intro course gives you the skills needed to produce professional looking imagery. It is instructor led and very hands on using a range of different images for exercises with plenty of time for discussion, scenarios and questions. This is onsite Photoshop training which means the dates and times are totally flexible. Being based in the Midlands means location is not a restriction and any of the Photoshop Courses can be held onsite in Shropshire including Shrewsbury, Telford, Bridgenorth and all surrounding towns and counties. Please contact me for location and availability in your area. 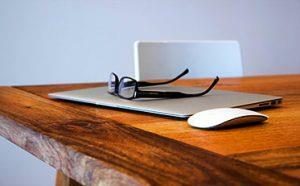 Short of a laptop or 6 for your training? If so, then I can supply laptops, projector hire, Wacom tablets and take care of all aspects of your Photoshop training course – again, please don’t hesitate to get in touch for an informal chat about your needs. An example of a recent room set up on one of the training courses held on a clients premises. With onsite Photoshop Training all you really need to provide is the room and electrics. 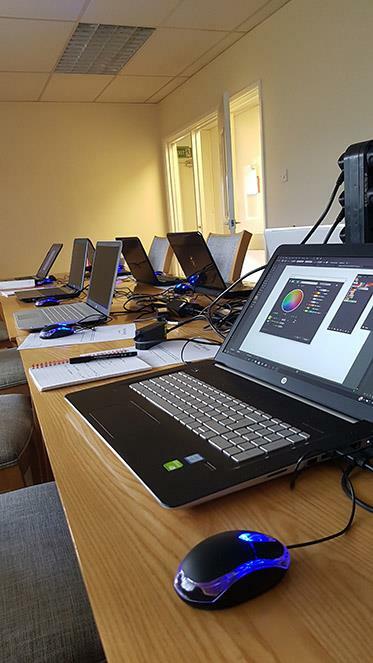 These particular computers are some of the ones used on the Adobe Courses and have been set up on the clients premises in advance of the training. Photoshop CC 2018 Training is delivered onsite UK Wide including Shrewsbury, Bridgnorth, Telford, Shropshire and all surrounding towns and counties. Please contact me for location and availability in your area.